What would you say if you knew that your body was host to more alien cells than your own human cells? According to most experts, the human body contains about 32.7 trillion cells. I find that many people find that hard to understand until they see it like this – 32,700,000,000,000. To put it another way, if you had a penny for every cell in your body, you would have a fortune of $327 billion. To be honest, I’d settled for a one penny for every 10 or even every 100 cells. Now that you are overwhelmed with how many cells are in your body, what if you found out that your body plays host to up 100 trillion foreign cells and that without them you would probably die? Your gut (stomach and intestines) are host to a huge collection of bacteria, estimated to range in number from 10 to 100 trillion. 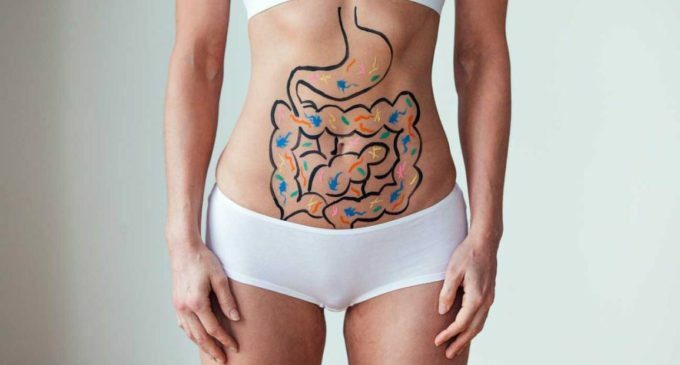 This gut biome plays a vital role in our day-to-day living and our overall health. They play a key role in digesting our food. In fact, one of the main reasons people vomit when they run a fever is that the fever kills off many of the gut bacteria and without their help in digestion, the food becomes incompatible with the stomach, causing the body to do what it can to eliminate the problem – the food. As stated, the gut biome is vital in helping digestion. It also plays a vital role in processing the nutrients extracted from the food and fluids we drink. Did you know that when you eat lots of sugary sweets, it can cause some of the gut bacteria to leak into the blood stream which can result in chronic inflammation of various parts of the body? Many people think that the sugary foods mainly impact our blood sugar levels and effects diabetics, but it also causes harmful inflammation within the body. New studies suggest that the gut biome may also play a role in making dieting more difficult. It seems that when a person diets by limiting the amount or types of food one eats, the gut biome takes up a defensive position. It does whatever it can to hold on to as many calories as possible. The gut biome also plays an important role in controlling our metabolism. When a person diets, the gut biome tends to slow down the metabolism in an attempt to prevent the burning of extra calories. It’s possible that part of the food cravings one gets when trying to diet is his or her gut biome signaling that they want more food. In the absence or reduction of the food, the gut biome does everything possible to counter one’s dietary goal. Many so-called experts try to tell dieters that their struggles are all in their heads, when in reality, it may be more due to the trillions of tiny bacteria living one’s gut.